Successfully Added Brinyte B158 Cree LED Flashlight - 900Lumen, 2400mAh Battery, 5 Modes, 500 Meter Range, IPX8, AL-6061 Aluminum to your Shopping Cart. 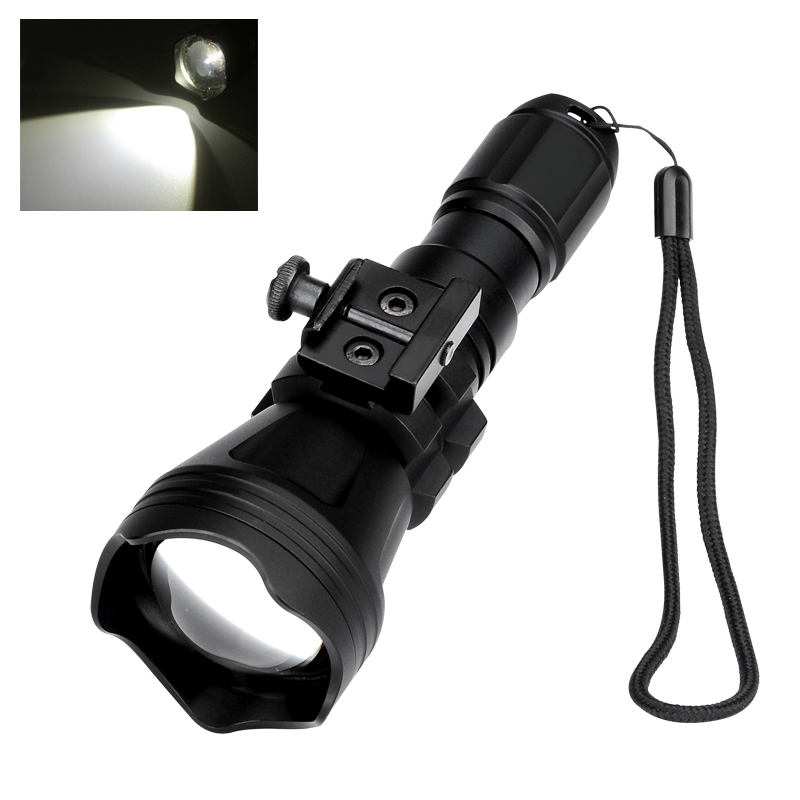 Working in dark areas, patrolling at night, or simple taking the dog a walk this high powered flashlight uses a CREE XM-L U4 LED bring super bright white light and great reliability. Powered by a 18650 rechargeable battery the Brinyte LED flashlight can cast its beam up to 500 meters away and its zoom features allow you to concentrate the light in one spot for picking out details or cast it over a large area for exploring in the dark. By twisting the handle you can adjust the depth to the optical lens to narrow or widen the beam while the push button on the base of this flashlight lets you switch between high, medium, low, SOS and strobe lighting modes, suitable for illuminating your way home, working in the dark, startling a would be attacker or signaling for help. Constructed from a durable yet lightweight aircraft grade AL-6061-T6 aluminum this 900 lumen flashlight will keep you safe in the ark for years to come and is great for keeping in the car in case of a breakdown or for walkers, campers and tradesmen or security personnel. This Brinyte 900 Lumen LED flashlight comes with a 12 months warranty, brought to you by the leader in electronic devices as well as wholesale LED flashlights and torches.. Very nice flashlight. It worked as expected and as described. I will order additional soon.